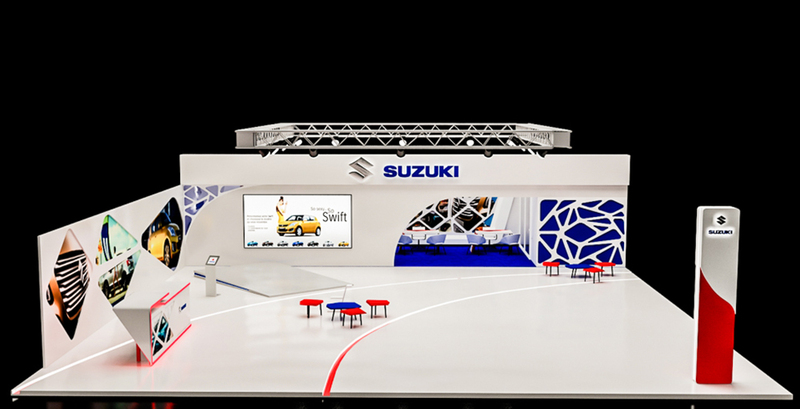 As a company, you need to think of your exhibition stand as a representative piece of your brand and culture, a piece that you expose to thousands of people every day, including your potential clients, customers, and partners. If you want your stand to do its job which is primarily expose your gems and drive business, you’ve got to do something that stands out, in other words, you have to think outside the box and be UNIQUE. 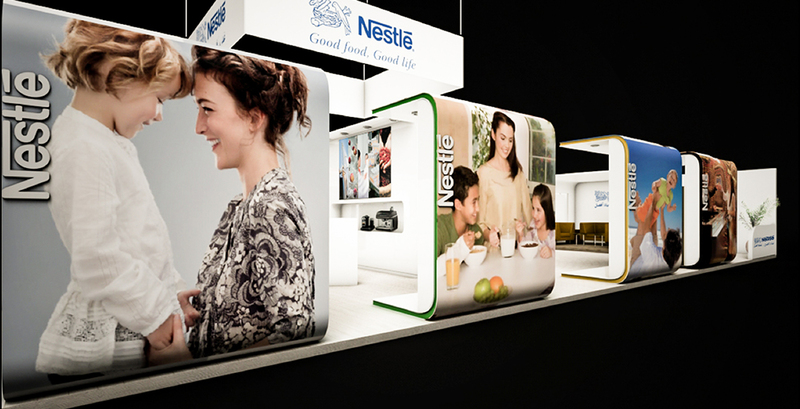 A unique exhibition stand is the key to being memorable, and being memorable is what going to make your company and your products the chosen ones out of the pile. But how to design your stand in a way that makes you stand out from your competitors ? Let’s take a look into a few tips that will surely make you different. Look, we get it ! Your stand must be just a place to welcome people and expose your new creations, but you should think beyond than that, using a standard look isn’t going to do much about standing out from the pack. You should get creative with your space, make it intriguing and attractive to make people wanting to have a tour in it and discover what you offer. Go for a modern design that represents your company and your innovative spirit, take the stands design to the next level. Every brand has its unique identity, and luckily there is no shortage of opportunities to bring your brand to life, trade shows are one of them, it gives you the opportunity to build brand recognition and get your branding out. Reflect your identity in your space by using your colors, typography, signature and architectural charter. Make your brand recognizable. Don’t forget about making your brand memorable for the booth traffic. Using the right materials will enhance your brand’s image and create a unique design that will attract your target or people interested in your products. For example, if you are a high tech company, why not use silver or chrome detailed to create a contemporary look. Or wood for an eco-friendly and natural look. One of the exciting aspects to add to your stand is light. Exhibitors often take this opportunity to create an atmosphere and tone that can make you stand out from others. Other than that, it is a useful tool allowing visitors to clearly read texts and view displays. You can also highlight a specific area in your stand to bring attention to it. Don’t be shy to use neon lighting. For example, if you are exposing your latest laser tools why not use red neons to refer to it. 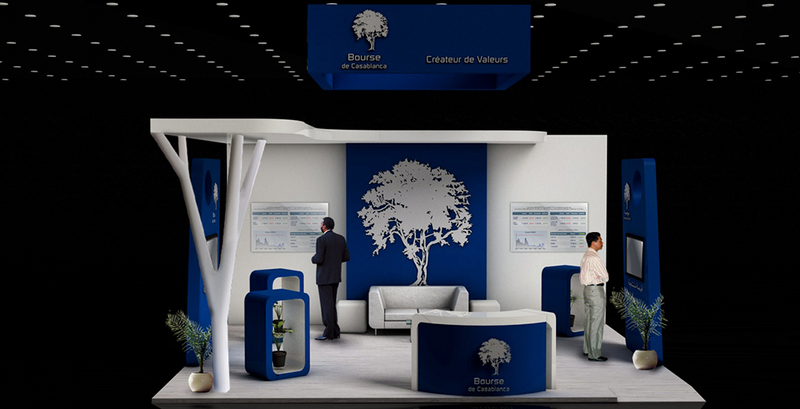 To design an outstanding exhibition stand, you should put the visitor at the center of your reflexion. Think about their needs, how they are going to move inside your stand to ensure there are no physical obstructions or barriers on entering. Provide a relaxing and welcoming environment. Also, thinks about your meeting area with comfortable seating areas, make it in the back of you stand to not become an obstacle and disturb the flow. Images are an effective medium to communicate your messages and showcase your products or services, even in busy show floors where messages often get lost in the crowds. Feel free to add images to your stand and make sure they can be seen from a distance. You can also get more creative and use lightweight fabric graphics to provide a stunning backdrop to stand. 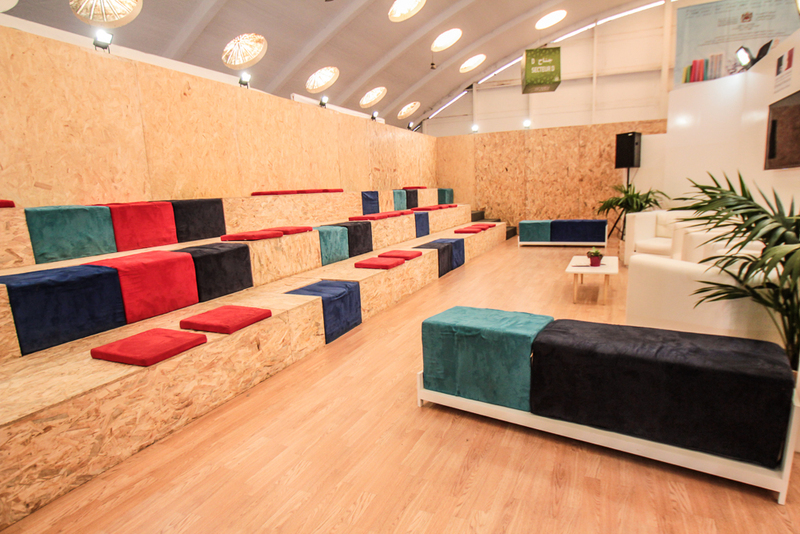 Storage should be thought of while designing your exhibition stand. Allocate a space where you can store your visual communication items for example, such as flyers, and where your staff can put their belongings to make your stand clean and well organized. Make sure the storage is shielded from the public eye. 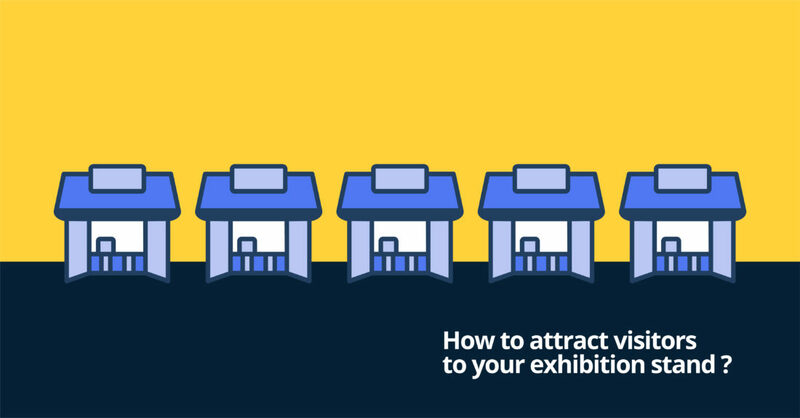 As an exhibitor, you want your stand to be unique and attract visitors. 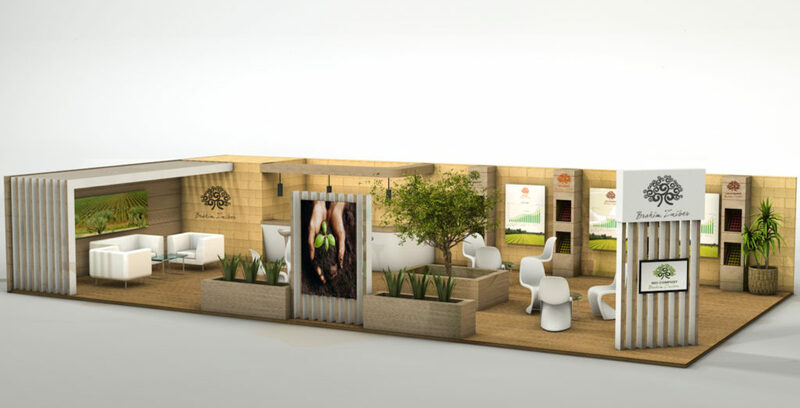 Now that you have read some tips you can take into consideration to create a memorable exhibition stand, you can take a look at some of our exhibition stand realizations. At SHAPE, we design modern stands while keeping in mind your target during the process, to form a base for the best way to communicate your message and present your product or service. 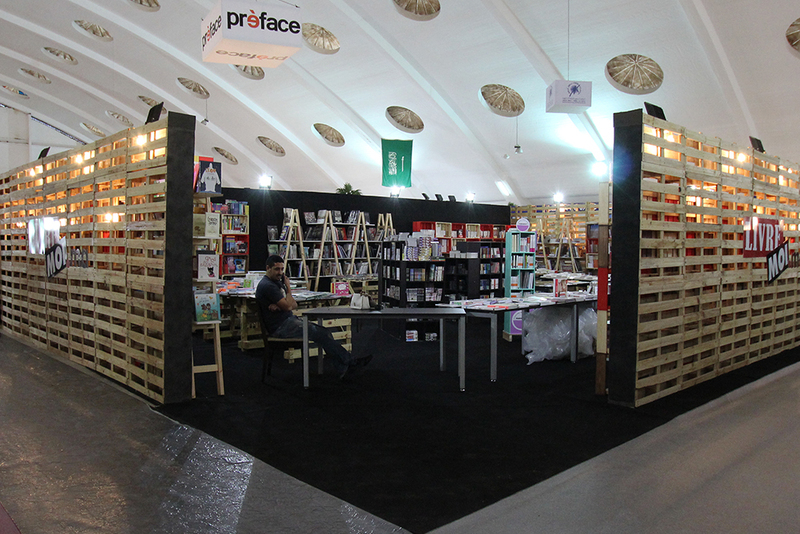 Ready to make your exhibition stand outstanding? Only one way to do it, contact us.